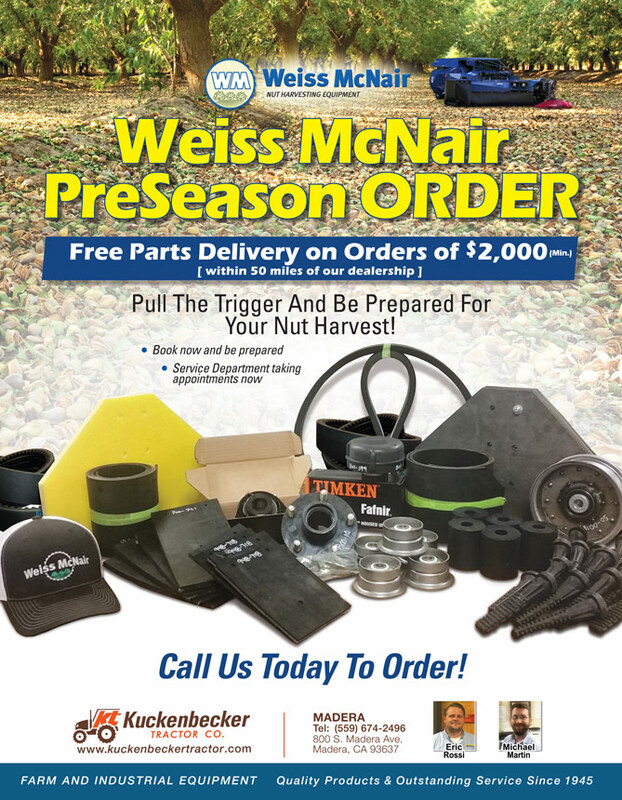 Free Parts Delivery on Orders of $2,000 min purchase. Free Delivery within 50 miles of destination. Pull the trigger and be prepared for your next nut harvest. Book Now and Be Prepared. Service Department taking appointments now. Call us today to order.